-You mean the foundation comes before the house? -Cabin progress – bathroom floor and a deck! 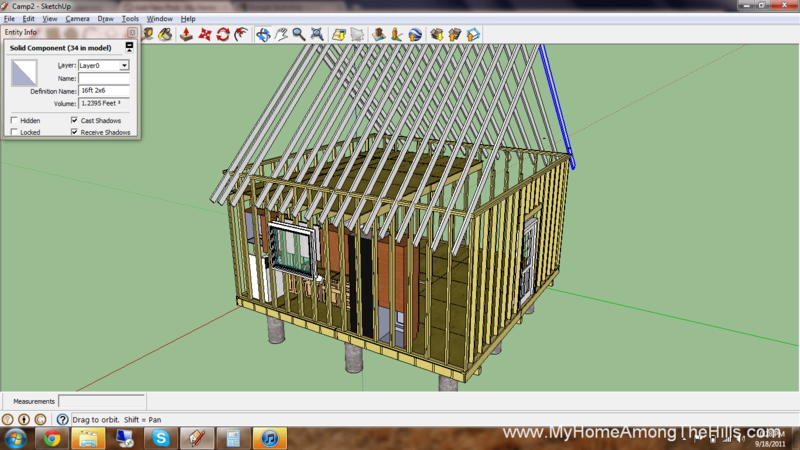 Here is my skp file…it’s the sketchup file if you want to have a look. I warn you, it is terrible and only gave me a rough idea of board counts, etc. Use it at your own peril! A. Jarrett – My skp file is available here: http://www.myhomeamongthehills.com/building-our-small-cabin/ Look towards the bottom and you will see a link. It took me awhile to find it…sorry for the delay. It’s a bad job and very rough so use it at your own risk!